Doctor Kokua – Can my Mac get a Virus? Have you ever seen one on your Apple computer? Not in the whole time you’ve used one? So once again — Macs can’t get viruses. The truth is, while it is not as easy to contract a digital disease on a Mac as it is on a Windows PC for example, all computers can get sick with, or become carrier of, a virus, or malware, or other insidious diseases. 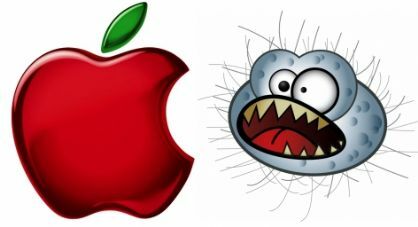 These days, with attacks escalating exponentially against all things connected to the Internet, Apple users should not be complacent about their digital tools’ immunity to sickness. There are disease detecting apps available for Macs. One free open-source app called Malwarebytes is popular for removing adware, trojans, and malware. SecureMac.com delivered its virus scanner — MacScan3 ($49) — to HMAUS for evaluation, and it became the focus of the HI TLC session on March 4th. All three of these apps are easy to install and in the current environment cluttered with attempts to break into our computers, it behooves us to remember that even Macs can be infected, and at least take our computers in for physical examination periodically, to check if there aren’t diseases developing without our knowledge. By the way, after scanning the doctor’s four different computers, one in use for over six years, with MacScan3, zero viruses or malware were found.